Welcome to Star Wine & Spirits! Welcome to Star Wine & Spirits! Our brand consists of 18 stores. 14 stores in Palm Beach County, 3 stores in Broward County, 1 in Martin County, Florida. Each store is individually owned and operated and each of our owners prides themselves on providing the customer with the best service and product selection. For questions about inventory, please contact the specific store from our list below. 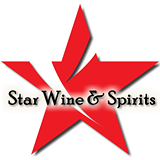 Thank You for shopping at Star Wine & Spirits! Few Of Our Stores Will Meet Any Local Advertised Price With Proof Of Purchase In Last 7 Days! Copyright 2015 Star Wine & Spirits | All Rights Reserved | Website Design by BCoSF, Inc.